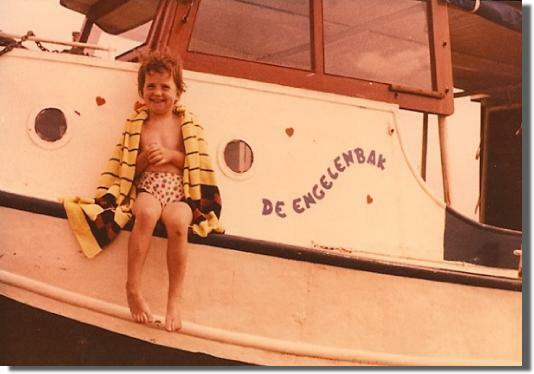 The original Engelenbak was shaped like a tub, a long skinny boat with a short stubby bow and a flat narrow transom... resembling what we would call i n Holland ... a “bak”. The engine was mid-ship and functioned many times as a dining room table when the whole crew was aboard. 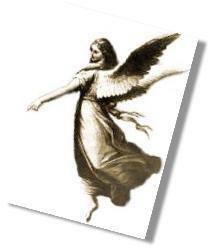 In the meantime, dad had his four daughters (my sisters Ellen, Karin, Lidewijde and Saskia) ... his Angels “Engelen”…. and having plans for his angels to experience his beloved sailing, dad called this “bak”, Engelenbak ... or directly translated: tub full of angels.